Melodics, Educative Software from Melodics. Melodics offers a step-by-step teaching of pad drumming with interactive lessons. Created by former Serato CEO Sam Gribben, Melodics is a brand new product that aims at teaching real-world skills in the fast-growing performance genre of pad drumming. 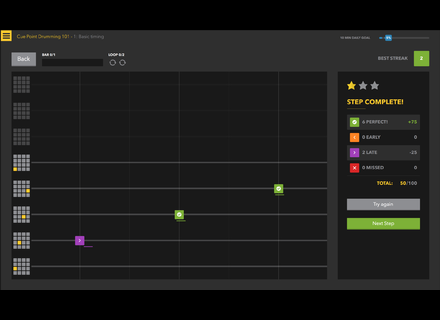 Melodics is part game, part beatmaking software, described by its creator as a fun and addictive app that adapts to your abilities and musical tastes to help you get better at pad drumming, faster. Artist DJ Jazzy Jeff is currently working on turning some exclusive tracks into lessons. According to Melodics (the brand), pad drumming (also known as finger drumming or cue point drumming) has become an essential tool for DJs, producers, beatmakers and musicians in the studio and on stage, yet it is is hard to learn, and even harder to perfect. Melodics offers step-by-step lessons, starting with simple patterns and building up to more complex structures. Many of these lessons have been created by artists such as DJ Jazzy Jeff and Nick Hook. Melodics listens to how the user plays and gives him instant visual feedback on his timing and accuracy. It also learns as you play, and after going through some of the basics, it suggests lessons to help hone your talents further. Melodics has teamed up with manufacturers of many of the major pad controller brands, and will soon be offering additional exclusive content to owners of select controllers from Ableton, Akai, IK Multimedia, Korg, Novation, Numark, Pioneer DJ, Reloop and more. For a full list of supported devices, visit www.melodics.com. This list will be continuously added to, and mappings for new hardware can be added manually. Melodics is a free download and comes with over 20 lessons that can be played for free, forever. For access to premium artists lessons, and new content each week, you can subscribe to Melodics at the special introductory price of US$9.99 per month. System requirements: Melodics runs on Mac OS X 10.9 and above and is coming soon for Windows 7 and above. While a midi pad controller is recommended, it is not essential. Waves weekend deals for this Sunday As Waves' Plugin Day special sales extend over the weekend, three additional 24-hour only offers are added this Sunday. 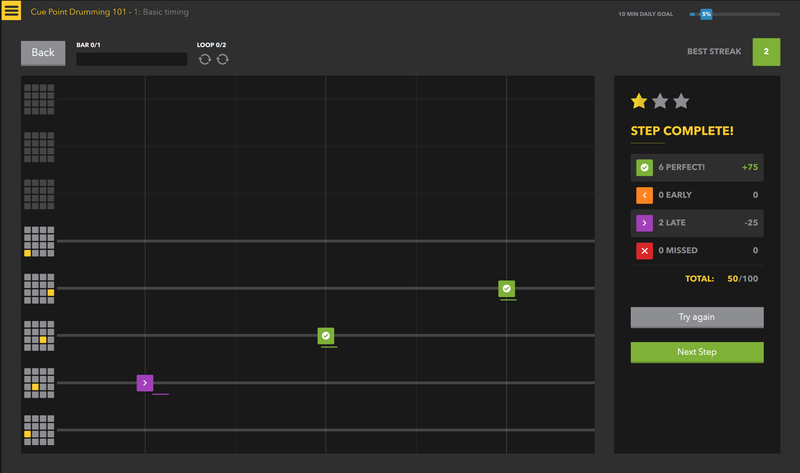 Renoise 3.1 Beta testing has begun Renoise has announced the beginning of Beta testing for v3.1 of its multi-platform workstation. 85% off The Loop Loft's MIDI Drum Loop Bundle This weekend, The Loop Loft offers a special discount on its MIDI Drum Loop Bundle.